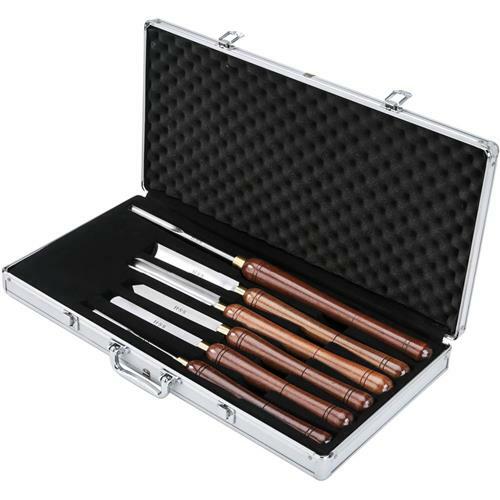 Lathe Chisel Set, 6 pc. 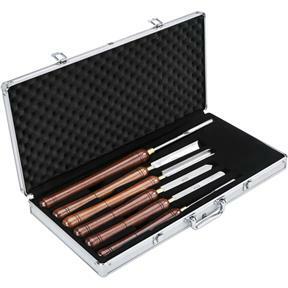 Shop Fox - Lathe Chisel Set, 6 pc. This is one of the nicest Lathe Chisels Sets you’ll find anywhere. 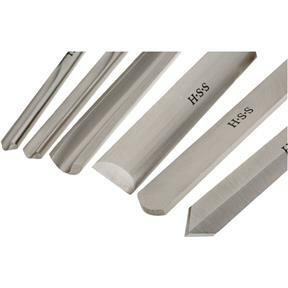 Beautiful black walnut handles are contoured to fit your hands in any position and high speed steel blades hold their edges for producing continuous ribbons of wood. 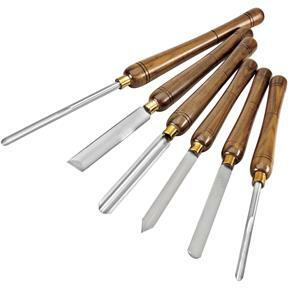 Includes all of the standard lathe tools plus a 22-3/4" long 1/2" spindle gouge for all day leverage and control. 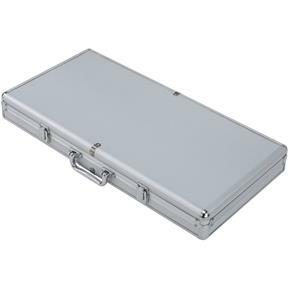 This set also comes with a sturdy aluminum case. You won’t be disappointed!